All events are also listed on our google calendar. Click on the Calendar button to see everything we offer, along with details on what, where and when. The Coloring Club is free and open to everyone! Bring your friends and we will provide the coloring books, markers and colored pencils. Our coloring sessions are fun and we find that many "grown ups" are children at heart. Everyone likes to create and coloring is the perfect creative introduction to art! One of the things we love about our job is exposing our seniors to new, interesting and relevant things going on in the world. 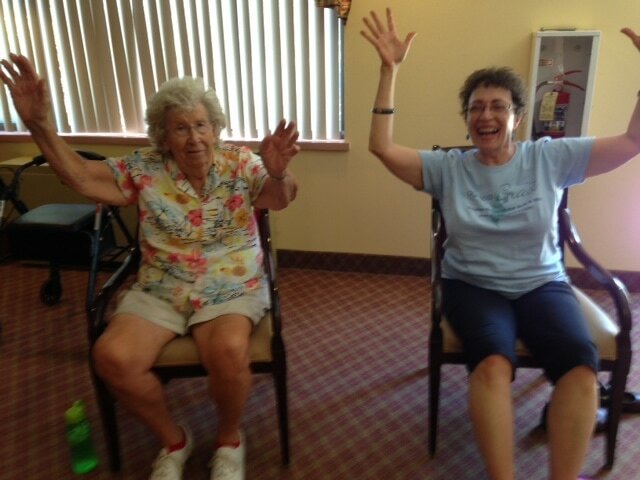 Whether it be trying laughter yoga, learning about essential oils or hearing about the new Medicare changes! Join us every month on the 4th Tuesday to ​here from speakers from around the metro area on a variety of topics. You might even get a scoop of ice cream at the end! No need to sign up--just drop by our Como by the Lake location on the 4th Tuesday of the month at 1:30 p.m. to join in the fun! Other Activities we do! Dartball fun with North End-South Como BNP Seniors. Where: 901 E. Como Blvd. Time: 12:30 - 1:00 p.m. Exercise is the key to staying strong and healthy! 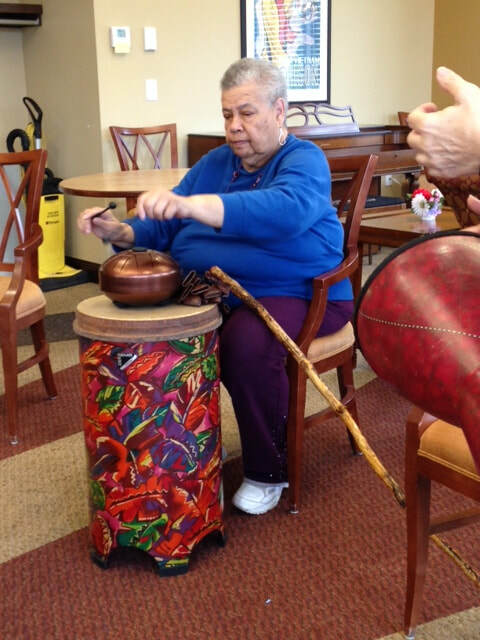 Our Health and Wellness Coordinator, Molly Fitzel, is an expert at helping our seniors get strong and stay strong through her weekly exercise programs. Exercise classes are held three times week at our Como by the Lake location and once a week at King's Crossing. Our classes offer an excellent opportunity to not only get active but also meet great friendly people in the process. All classes are free and run about 45 minutes each. The exercises are mostly done from a seated position and everyone from the community is welcome to participate.